On the evening of Thursday, March 28, my father passed away. He had suffered for at least two years from Lewy body dementia, a disease that slowly unraveled the fabric of his logical and perceptive mind and diminished the strength of his once-vigorous frame. But while the deterioration of that disease increasingly confined him during his last months, it will never define his life. 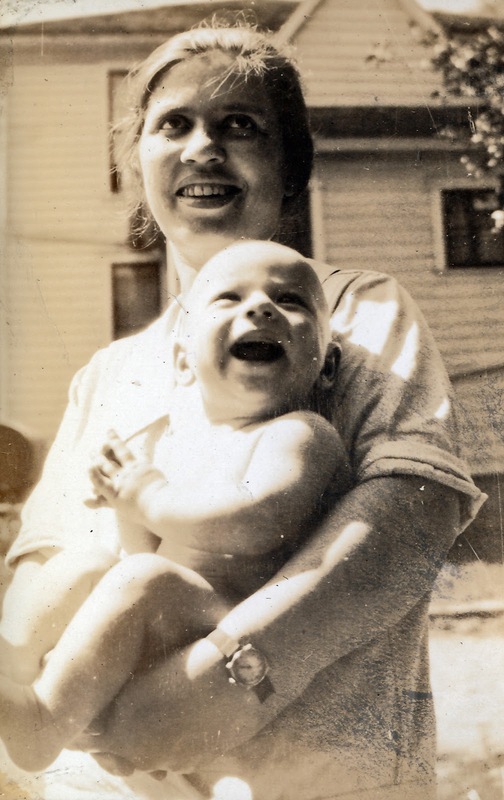 The second of four sons, my father John Allen Aylard was born on March 15, 1931, in Jackson, Michigan to Clark William and Esther Lavina (Vore) Aylard. When my father was five the family moved to Arizona in the hope that a warmer, drier climate would relieve his father's crippling bouts of arthritis. Clark built a house trailer for the trip to be pulled by a Model “A” Ford. You can imagine the result of piling four rambunctious little boys into the cramped rear seat of an un-air-conditioned car for a two-thousand-mile Summer road trip. My father later recalled that the Burma-Shave signs helped to break the monotony of the trip. The trailer was used as full time or supplemental living space for the next four years. At this time, the nation was in the middle of the Great Depression. My grandfather was unable to find work in Arizona, so the family continued on to Southern California. They lived in trailer parks for about a year before renting in West Los Angeles. Despite living in relative poverty, my father often recalled that he never felt poor. My grandfather took whatever odd jobs were available to provide for the family and the four active brothers never failed to make their own excitement. In 1940, my father developed non-acute appendicitis that kept him out of school. The surgery and recovery resulted in more lost time from classes, requiring that he repeat a grade, placing him in the same grade as his next-younger brother. World War II erupted when my father was ten. My grandfather was too old to serve and none of his four sons was old enough, so the family was spared the angst of having one of its own in harm’s way. Instead, the family experienced the war through the rationing of food and other staples, bond drives, and the increased presence of military personnel in the area where they lived. He once saw a fighter plane flying low over the highway and crash just off the coast into the Pacific Ocean; he recalled that the pilot survived and swam to shore. Leaving the Los Angeles area in 1943, the family headed northward, living in a variety of locations in Central and Northern California. One destination was the small town of Independence, near a Japanese internment camp named Manzanar. The family’s landlord worked in the camp, and invited them to visit him there. My father was impressed by the imposing fences and armed watch towers, but found the atmosphere of the camp surprisingly peaceful. From 1944 to 1948, the family continued to move north, settling in the small town of Windsor, living in a large tent while my father and his brothers helped their father build a house. 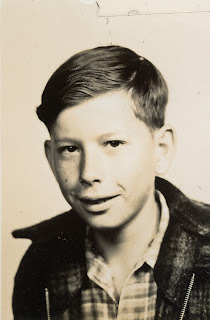 My father later described himself as being “painfully shy and unsophisticated” during his youth. As a teenager his social life consisted of family and a few members of a local church group. Yet he was an avid fan of the Los Angeles Angels of the Pacific Coast Baseball League, and he enjoyed exploring the natural beauty of the area in which he lived. My father worked at various jobs to defray his school expenses. 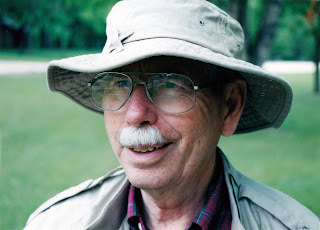 He worked on a chicken ranch and learned about territorial roosters; he worked with sheep and learned why the Bible compares us to sheep; and he worked in a Maraschino cherry processing plant, and learned that it was possible to feed more cherries onto the conveyor than the crew down the line could process. In 1954, he graduated from San Jose State College with a Bachelor of Arts degree in Economics and a minor in Mathematics. In January, 1955, my father was drafted into the United States Army. After completing basic training, he was sent to Texas for training as a guided missile crewman with the 601st Field Artillery Missile Battalion. My father proved his ability in training and was eventually recommended to become an instructor. Unfortunately, he had already been assigned as a jeep-driver, wasting the advanced training he had received and limiting him to the rank of Private First Class. In the spring of 1956, his unit was shipped overseas for a tour of duty in Germany, stationed at Zweibrücken. During his overseas assignment he was able to do some travel and sightseeing in Germany (visiting Adolf Hitler’s retreat in the mountains above Berchtesgaden) as well as France, Italy, Austria, Switzerland, North Africa, Greece and Turkey. After his discharge from the Army in 1957, he went back to San Jose State under the GI Bill for additional education in accounting. This time he cleaned model homes to pay the bills. After completing enough courses for the equivalent of a major in accounting, on January 2, 1959, he was hired as an internal auditor with Contra Costa County, California. Also, after his return home from the Army he met and fell in love with Lorna (my mother), who was attending his home church in the San Jose area. 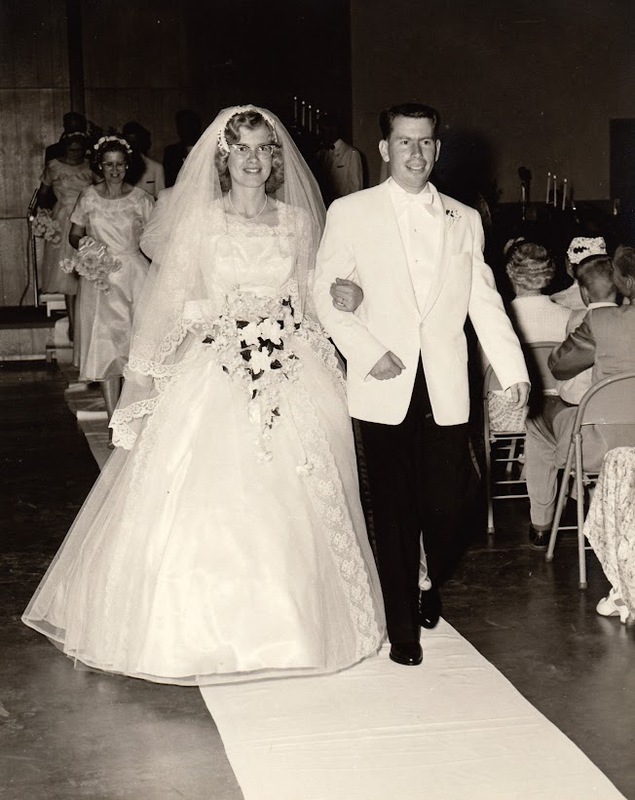 After a two-year friendship and courtship, they became engaged on January 3, 1959. They were married in June of that year and rented an apartment, near my father’s work, while my mother worked as a teacher. The next year my parents purchased their first home and welcomed their first child, my sister, in the Fall of 1960; she was followed by my brother in the Spring of 1963. I was born in the Fall of 1965. My father worked in the Contra Costa County Internal Auditing Division for the entirety of his professional career, the last 26 years as the head of the Division. While employed, he was a member of several professional organizations, and was one of the first auditors to qualify for the professional distinction of Certified Internal Auditor. He retired from his professional career in March 1993 after a total of 34 years of public service. In retirement he had more time for the hiking, photography, and travel that he had enjoyed throughout his working life. He continued to be actively involved in church, serving in roles in such as treasurer, financial secretary, and small-group leader. But he made possibly the biggest impact, and experienced the most reward, through his years of teaching adult Sunday school. He was a life-long student of the Bible with the goal of passing on his faith and values. He underwent triple-bypass surgery after he suffered a mild heart attack on Christmas Eve night in 2007. His health and strength seemed somewhat diminished thereafter, until he was diagnosed with Lewy body dementia in 2010. He died at home in my mother’s care on the evening of Maundy Thursday, March 28, 2013. His body was buried at the Sacramento Valley National Cemetery in Dixon, California, on April 10. My father’s life was one of quiet but consistent faith, generosity, and wisdom, not only in word, but even more so in action. His was a life well-lived. I have inherited a priceless legacy from his example that I will cherish, and that I hope to bequeath intact to my own children. Parts of this post were adapted from the life story read at my father's memorial service on April 12, 2013.